A study commissioned by the government proves that the government's plan to phase out nuclear power plants and replacing them with renewable energy will cost more than 10,000 jobs by 2030, putting a quarter of workers in the nuclear industry out of a job. The survey of 42 companies in the industry also warned of the perils of mismanagement of nuclear power plants caused by forced mass closures of subcontractors or companies in charge of repair and maintenance. The government is downplaying the findings and claims that jobs will be kept by selling nuclear power plants abroad, but it is contradictory to expect exports to continue when the government intends to phase them out completely at home. What country in the world would buy a nuclear plant from a country that is too scared to operate them on its own soil? Already a promising W22 trillion nuclear deal with the U.K. has collapsed after KEPCO lost its preferred-bidder status, and hopes of winning a nuclear power plant order from Saudi Arabia are also dimming. There is not a single country that exports nuclear power plants while refusing to operate them at home. The U.K., which was the first country in the world to develop a commercial nuclear power plant, ended up relying on foreign countries after phasing out its own industry. In Germany, which also phased out nuclear power, the number of companies in the industry fell from 5,000 to 100 just seven years after the decision was made. The Moon Jae-in administration must be dreaming if it thinks exports can somehow continue. The impact of the nuclear phase-out can be felt already. 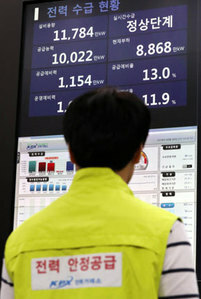 KEPCO and its subsidiary Korea Hydro and Nuclear Power have started posting losses, and at the Korea Advanced Institute of Science and Technology, enrollment in nuclear studies is dwindling. What is most worrying is the safety of existing nuclear plants. If the businesses that specialize in them shut down, there will be no one left to maintain them. The facts speak for themselves, but the government continues to look the other way.